There is a striking concentration of historic 17th-18thCentury oasts in the Cranbrook-Biddenden area of the Kentish Weald. Whether this is down to chance or some other explanation is hard to know. 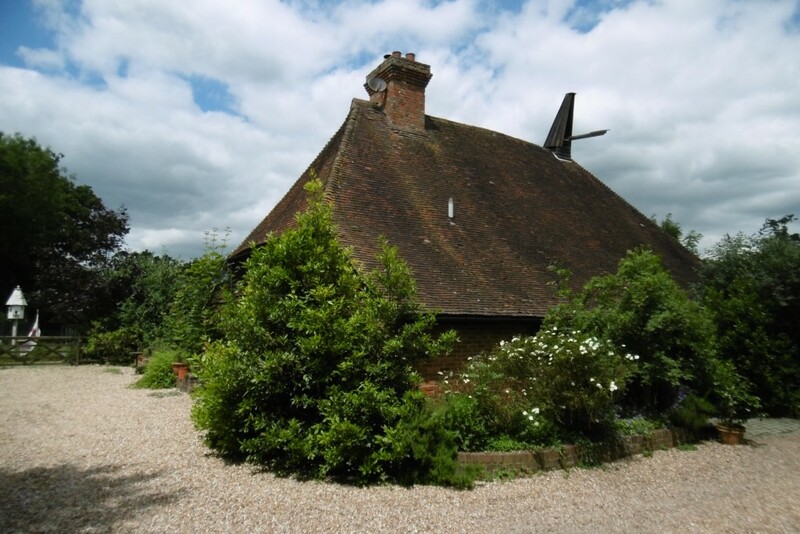 The hamlet of Golford near Cranbrook has a second early oast at Golford Corner. It is probably a 17thCE building which was converted for hop drying; hence the curious shaped drying area, as shown in the cross section. 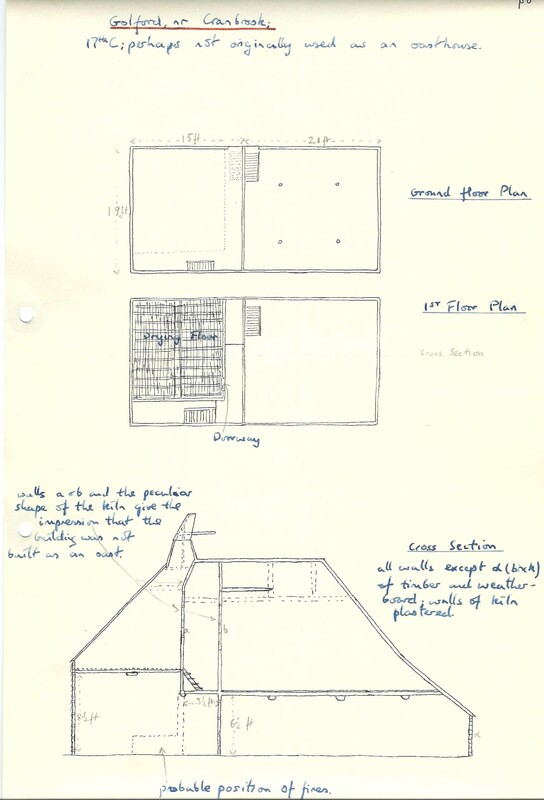 In 1960 it still had a drying floor measuring 15 x 19 feet in place and kiln walls built of timber and plaster, but no furnace remained. The interior has been converted into a dwelling. The exterior looks remarkably little changed in 50 years, although smarter. 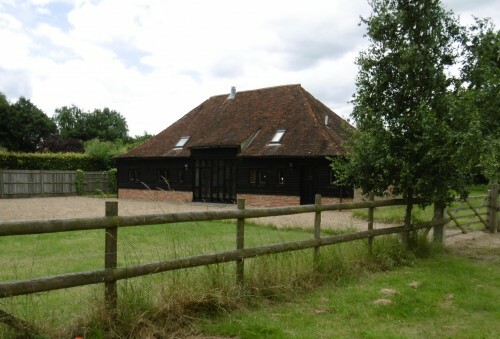 When for sale in 2015 it was described by an estate agent as “a chocolate box oast”. 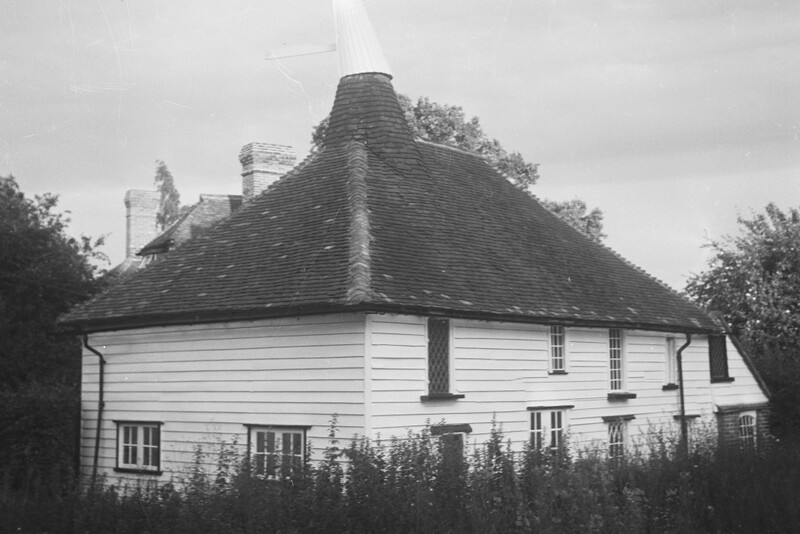 A few miles to the East of Golford on North Street, Biddenden (TN27 8AS) is a building which has served as a barn and/or oast from the 17th CE onwards. Given all the changes dating is difficult. 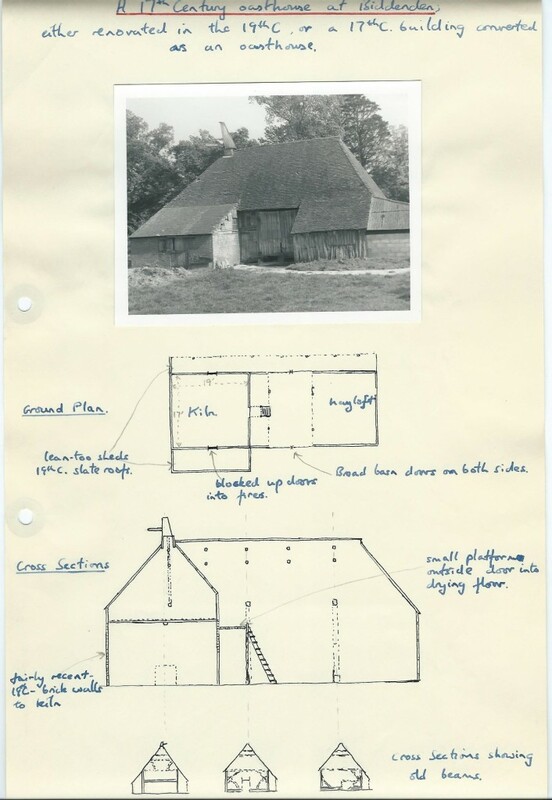 1540 has been cited as the date of construction as a barn (Walton, p 95) My photograph and diagrams show the building as it was in 1960. Inside the wooden exterior the kiln walls were lined with 19th CE brick. Note that there was no first floor in the stowage so the hops had to be carried up to the drying floor and then tipped out to cool at ground floor level. Everything pointed to building oasts with first floors more or less level with the drying floor for less labour intensive loading and unloading. 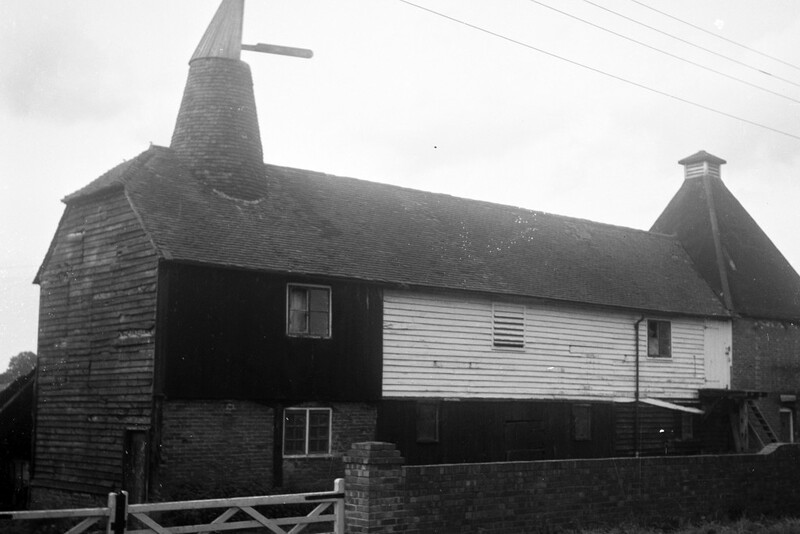 In 1960 this building had not been used for hop drying for some time. 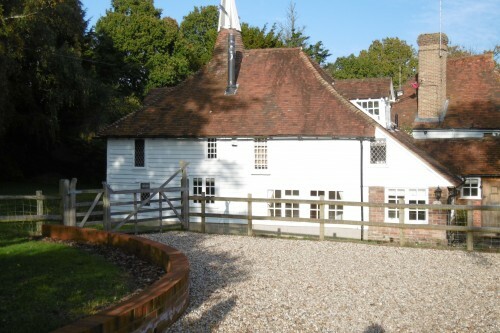 In the 1980s the building was stripped back to its timber frame and re built, mainly in brick as a house. A small cowl on the south end is a token of its hop drying past. In the same Cranbrook-Biddenden area there were two oasts in 1960 which have now gone or have been changed beyond all recognition. One was at High Tilt (TN17 3PB) the other close to North Street, Biddenden. (TN27 8BA). The High Tilt oast has a 19th CE kiln added at one end. High Tilt, near Cranbrook 1960 photo.